Having reviwed Colourpop’s blotted lip and satin lip, it’s about time I got around to reviewing another of their star lip products – matte lip. There aren’t many ingredients in this list, and a quick check on most of them seem to be fine. Propylene Carbonate, however, has been classified as a human irritant for use around eyes, on skin, etc., so do take note of that. 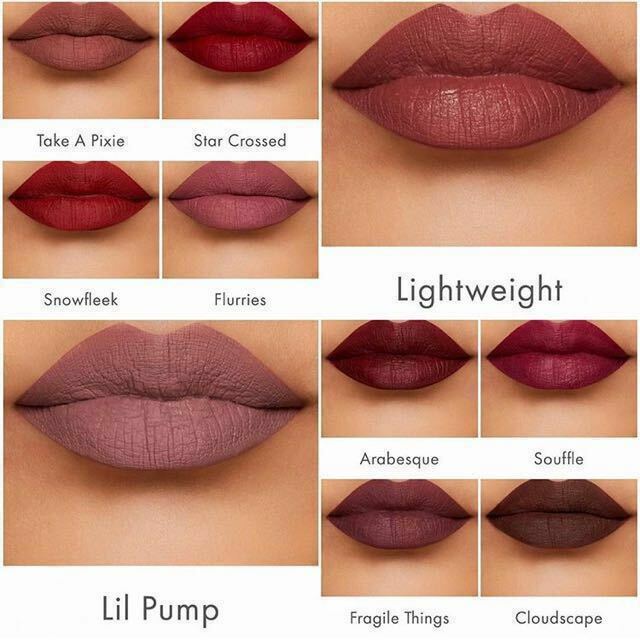 Packaging: Identical to the other Colourpop lipsticks. I find this a little problematic because the shades I buy all look pretty similar, and sometimes I can mix them all up. I have to look very carefully at the tube to see if I’m using the blotted, matte, or satin. It’s not a huge problem, just that it would have been great if Colourpop made some slight differences to the packaging for clearer distinction. The colour payoff is, I think, the best among blotted, satin, and matte. It’s not very surprising, considering that it’s a matte lipstick, but still a noteworthy point. Staying power: Best staying power I’ve had from a matte lipstick. Ever. I never had to worry about transfer, or having the colour disappear after a meal. In fact, I had the most amount of colour pigments left on my lips at the end of the day when I used this lipstick, and I absolutely loved the convenience of not having to touch up! My lips also didn’t feel uncomfortable at all with this formula – no drying out, no ugly cracking of lips, none of the horrors that usually accompanies matte lipsticks. Are they too drying? I really like the color and it might suit my tanned skin. I’m loving your blog and loved the colour of this too! It’s a little too ‘dark’ for me though because I prefer brighter colours, but I do agree it’s a great colour!